of Shia Islam, scrawled on a wall. Under Saddam Hussein, such a statement of Shiite faith and solidarity would have been viewed as a threat to the unity of the state. 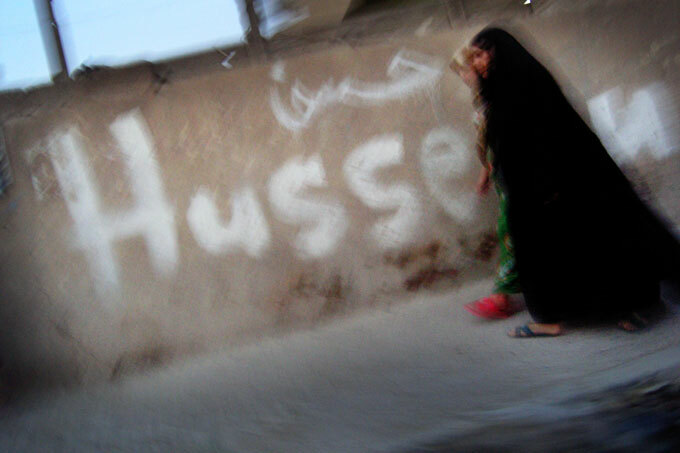 Since the U.S. invasion, Sadr City has become an open book of religious and political graffiti.